We live in a world that is full of problems but then there are some of us who know the art of turning these problems into opportunities. Travis Kalanick and Garrett Camp are part of that club. The two friends were in Paris to attend a conference in 2008 when they couldn’t find a cab on a winter evening. Now n average person would’ve ranted about the situation and moved on. But there was obviously nothing average about these two, both of them had previously built and exited tech companies. They saw an opportunity for a service that could let people request taxi from their smartphones. Both of them eventually worked on the idea that is now one of the most valuable VC backed tech companies in the world, Uber. In a similar fashion, three Cairo-based friends, in 2011, saw an opportunity in one of the biggest problems of the city; traffic jams. Engineering graduates; Abdelrahman Wahba, Abdallah Ehab and Ramy Gamal noticed how people keep using a lot of their time while they’re stuck in traffic jams in the city. 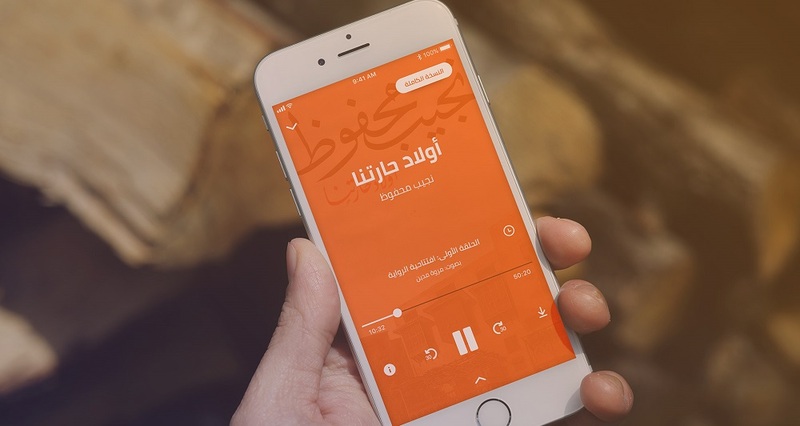 They wanted to help people make use of this ‘lost’ time so they started Iqraaly, an app that allows people to listen to different types of Arabic audiobooks. Even though there were many international companies offering English audiobooks back then, including Amazon-owned Audible that it had for $300 million in 2008, there was almost no one doing the same for Arabic content. The three worked on the idea, had some books narrated and launched the app that allowed users to discover and listen to these audiobooks for free. Like most of the startups, Iqraaly’s app did not take off immediately and went through a lot of ups and downs. The startup however, managed to draw attention of one of the leading angel investors of Egypt, Khaled Ismail, who became the first investor in the startup. They later also received investments form The Cairo Angels and TDF (Ideavelopers). Their Android and iOS apps have more been downloaded more than one million times, with more than 100,000 monthly active users. The startup recently achieved the milestone of 15 million ‘listening minutes’. They currently have over 200 books in their library, with new ones being added every month. All the books are produced by in-house narration and content teams “who narrate them in a way that enables the users to live the story,” explained Iqraaly’s CEO Ahmed El Malkey. In December last year, the startup moved to a freemium model, launching paid subscriptions for the first time, which Ahmed described as the biggest challenge that they were able to overcome successfully. It’s never easy to turn free users into paying customers but you have a really good chance at doing so when you’ve built a loyal audience who loves your product and that seems to be the case with Iqraaly. The subscriptions are priced at $2 a month or $18 if someone pays upfront for the whole year. Users can pay using credit card, Fawry or PayPal. Some of this revenue goes to publishers as they work with them on a revenue sharing model. They have very recently signed an agreement with Dar El-Shorouk, one of the largest publishers in the region, to narrate and add their books as audiobooks in Iqraaly’s library. They may have been the pioneers in this space but now there are at least ten different players who have built similar products. What most of these other startups don’t have however, is the loyal audience that Iqraaly has built over last six years or so. It’s this loyal audience that could help them become the Audible of MENA.